Olga Murray (Founder, Honorary President) known as “Olga Mom” to thousands of Nepali children, founder and honorary president Olga Murray is living proof that getting older doesn’t mean slowing down. Born in 1925 in Transylvania, Olga came with her parents and siblings to the U.S. when she was six year old. After graduation from Columbia University, she earned a law degree from George Washington University, where she was one of a handful of female students. Olga worked her way through law school as a researcher and writer for famed muckraking columnist Drew Pearson. With her law degree in hand, she found that few law firms would hire a woman. So Olga knocked on the door of the California Supreme Court, where she became a research attorney for Chief Justice Phil Gibson. When he retired, Olga joined the law staff of the newly-appointed Justice Stanley Mosk. During her 37-year tenure at the Court, Olga helped to write important decisions in the areas of civil rights, women’s rights, and environmental policy. She retired from the law in 1992 to launch yet another career—helping impoverished children in Nepal. Olga spends half the year in Sausalito, California, raising funds for NYF, and the other six months in Nepal overseeing NYF projects. Reach out to Olga at olga@NepalYouthFoundation.org. Brian Ferrall (Chairman) first fell in love with Nepal when he travelled there with his family in 2006. He was captivated by the people of Nepal, and was thrilled to learn of NYF, which was founded in his own city. He is an intellectual property trial lawyer at Keker & Van Nest representing technology clients in litigation around the country. He received his law degree from Harvard Law School, and his undergraduate degree in economics from Johns Hopkins University. Brian lives in San Francisco with his wife and two daughters. He is also on the California Advisory Board of the Trust for Public Land. Greg Rosston (Treasurer) has been involved with NYF since its beginning. His father, Jack, was one of the original board members who was traveling with Olga on the infamous trek when she broke her leg. Greg and his wife traveled to Nepal in 1991 to trek and to visit Olga and the kids she was helping. Greg serves as the Deputy Director of the Stanford Institute for Economic Policy Research and Co-Director of the Public Policy program at Stanford University. As Deputy Chief Economist at the Federal Communications Commission, Greg worked on the implementation of the Telecommunications Act of 1996 and helped design and implement the first ever spectrum auctions in the United States. He also serves as an advisory board member for Sustainable Conservation and on the advisory board of the Stanford Federal Credit Union. Christopher T. Heffelfinger (Secretary) formally joined NYF’s board of directors in September 2014 but he is no stranger to the organization. His father, Tot Heffelfinger, served as one of the founding members of NYF”s board in 1990. Chris is a lawyer in the San Francisco office of Berman Tabacco, litigating class action suits in the high-tech, financial services, real estate, pharmaceutical, gasoline and manufacturing industries. He received his law degree from University of San Francisco School of Law and his undergraduate degree from Claremont McKenna College. Chris lives with his wife in San Rafael. He has a son who is serving as an officer in the U.S. Navy and a step-daughter attending college. He also serves on the boards of the San Francisco Legal Aid Employment Law Center, and the Mountain Play Association. Chris enjoys hiking, playing the piano, skiing and the company of good friends and family. Tanya Bodde (Director) joined NYF’s Board in February 2017. A retired Foreign Service officer, Tanya spent more than 15 years in South Asia, primarily Nepal, where she served as President of what was then American Women of Nepal from 1994 to 1997. Born in Michigan, Tanya grew up in a military family and traveled the world. She married Peter Bodde, a career diplomat, more than 40 years ago. Peter served as the Deputy Chief of Mission at the Embassy in Nepal from 1994 to 1997 and as US ambassador to Nepal from 2012 to 2015 (including the difficult period following the April 2015 earthquakes). Tanya and her husband have two children, two grandchildren and a Nepali-born Labrador. Now living in Baltimore, Maryland, Tanya feels a special affinity for the people of Nepal, and is pleased to be continuing her service through volunteering on the NYF Board. Saskia Bowers van der Stap (Director) Saskia Bowers lived and worked in Hong Kong for seven years where she became acquainted with NYF. In 2009, she travelled to Nepal to visit NYF’s work and this was the start of a new chapter in Saskia’s life, who then had already decided to leave the finance industry. A volunteer with Asian Charity Services (ACS) for some years, Saskia decided to set up the Hong Kong Chapter for NYF and today it’s one of three fundraising chapters around the world helping to raise awareness for the children of Nepal. Saskia now lives in Florida with her husband and four children. She is chair of the Hong Kong Board and is a director of NYF’s board in the U.S. She remains very active in the organization. Gina Parker (Director) joined the Board in December 2016. A longtime NYF supporter, Gina has extensive knowledge of Nepal including a sabbatical year which she took in 2002 to work in NYF’s first ever center for malnourished children in Katmandu. Gina and her husband, Simon Russell, co-founded NYF UK in 2013. Formerly, they worked closely with NYF through their non-profit charity, Children of the Himalayas. Gina balances the demands of motherhood with being a Senior Partner of a wealth management organization in London. She also spends a lot of time working on NYF’s UK fundraising. Gina is particularly focused on creating a closer collaboration with global charities of the organization. She feels privileged to be able to work with the people of Nepal and to help them improve the health and wellbeing of their children. Nick Prior (Director) was born and raised in Dublin, Ireland. Educated at University College Dublin, Nick emigrated to the United States in 1989 with his wife, Jane. Based in San Francisco, Nick is an audit Partner with Ernst & Young and has over 26 years of audit and business advisory experience coordinating and serving global clients. Nick is a solutions-oriented decision maker with excellent communication skills and the ability to identify keys issues. Through his extensive international experience Nick understands many cultures and varying approaches to solving issues. Nick’s experience includes seven years working in Russia and China focused on advising clients regarding mergers and acquisitions, strategic alliances and joint ventures. Nick currently works with large multi-national corporations and numerous start-up companies bringing solutions tailored to their divergent needs. Nick serves on a number of not-for-profit boards and enjoys golf, biking and skiing. He has been married for over 25 years and has one daughter, Alex. Kelly Anderson joined the Nepal Youth Foundation as Chief Executive Officer in November 2015, bringing almost 30 years’ experience in the non-profit sector. Partnering closely with NYF President Som Paneru in Nepal, Kelly oversees NYF’s US office in Sausalito and helps to ensure sufficient resources are available for Nepal Youth Foundation’s essential programs providing shelter, health, education, and freedom for some of the world’s most destitute children. Building on NYF’s tradition of empowering Nepali leadership to transform the lives of Nepali children and youth, Kelly’s priorities include ensuring a strong US headquarters, coordinating with dedicated leaders of global chapters, and supporting the Board of Directors in their governance role. Since 1987, Kelly has held volunteer and leadership positions with local and statewide nonprofit organizations addressing social justice issues affecting the health and wellbeing of women and children. Kelly grew up in a Midwestern town of 1,200 people, and attended the University of Michigan where she graduated with honors. After receiving her first passport at age 20, she’s been exploring the wider world ever since, visiting over 20 countries on five continents. Joining NYF has given Kelly a profound respect for the Nepalese people, and deep interest in learning more about the country and its culture. Stacy Chen first traveled to Nepal in 2013 and promptly fell in love with the Himalayas and the warmth, resourcefulness, and generosity of the people she met in Nepal. She was excited to learn of NYF and the great impact of its work providing opportunities to those most in need in Nepal. Stacy has been a member of the Advisory Board since June 2017. 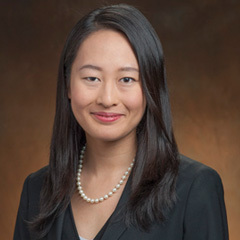 She serves as Associate General Counsel for Intellectual Property litigation at Facebook, Inc., where she also serves on the Pro Bono Committee. Stuart H. Harden Stu has over 50 years of accounting experience, including 30 years as a forensic accountant and expert witness. 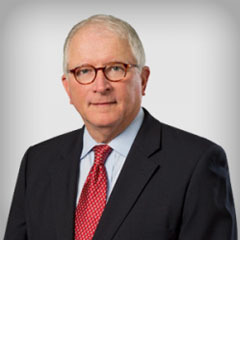 He is currently a partner in the forensic accounting and financial consulting firm of Hemming Morse, LLP. He has extensive experience as an auditor and consultant to nonprofit organizations, which he hopes will prove helpful to NYF. Stu is a former member of the Emerging Issues Task force of the Financial Accounting Standards Board, the Auditing Standards Board and the Accounting Standards Executive Committee, as well as numerous other professional groups. He is a Certified Public Accountant in California and New York, Certified in Financial Forensics by the American Institute of CPAs, and a Certified Fraud Examiner. Stu and his wife Diana were raised in Kansas but have resided in California for 40 years. He and Diana have two adult sons and three grandchildren. Andrea McTamaney Originally from Melbourne, Australia, Andrea has spent the last 19 years traveling the globe with her husband and three children – having resided in Tokyo (4 times), London, Hong Kong, New York, San Francisco and Hawaii. Interests include working with non-profits in the USA and developing countries, running marathons, and photography. She volunteered with Room to Read in Hong Kong and Tokyo – assisting chapters organize events which have raised substantial amounts. Elizabeth Share has been an active volunteer and donor to NYF and has provided wise counsel for more than a decade. She has been helping donors and nonprofits increase the impact of their work in communities worldwide for more than 25 years. Among those she has worked with are The Isabel Allende Foundation, The Khaled Hosseini Foundation, The Chez Panisse Foundation, Grace Family Foundation, and City Car Share. Prior to founding her own consulting practice, Elizabeth served for 10 years as the vice president of the Autodesk Foundation, a corporate foundation associated with Autodesk, Inc. From 1996 to 2002, Elizabeth served as a board member of CompassPoint, the premier technical assistance provider to San Francisco Bay Area and Silicon Valley nonprofits. Elizabeth now divides her time between her consulting practice, Wise Giving, and The Center for Investigative Reporting, where she serves as the Senior Director of Foundation Relations. Haydi Sowerwine worked for IDEO in Palo Alto, a leading product design firm, while raising five children-a blended family-with her husband David. In 1991, Haydi & David moved to Nepal, where David worked with USAID. After the time with USAID they decided to stay in Nepal & came up with the idea for their future company, EcoSystems (www.ecosystemsnepal.com), which they formed in 1996. Their first product was an appropriate technology bridge for the rural areas of Nepal – 38 bridges were built. The Sowerwine’s innovative designs have won numerous awards, including the San Jose Tech Museum award in 2003 for their bridges, and a grant from the World Bank for a human powered generator and electricity distribution system. Haydi was active in a number of organizations in Nepal which helped women and children. After moving back to their home in California in 2005, Haydi and David formed a non-profit called VillageTech Solution. The organization – which works mostly in Nepal – creates technology that betters lives in developing countries. Haydi has had a long relationship with NYF. Early in their stay in Nepal she heard about J House from a friend, went for a visit, and from that day forward she and David have been enthusiastic supporters. David served as ‘Father Christmas’ for the children for many years and Haydi helped create the first NYF database. They couple love to tell about the wonderful work NYF does. Haydi served on the Board of Directors from 2006 to 2018, and we are pleased to have her continued advice and counsel as a member of Advisory Board.